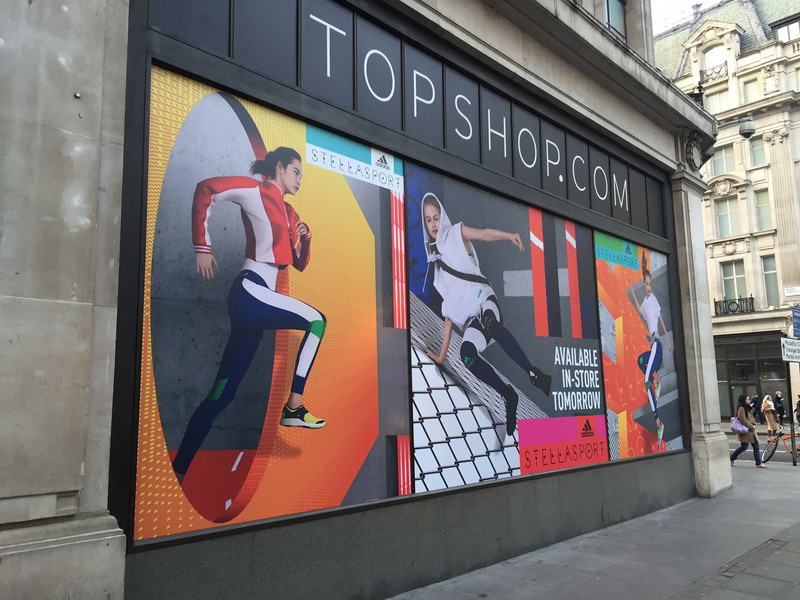 Make the Most of your Hoarding Graphics! Don’t leave this valuable advertising space blank! 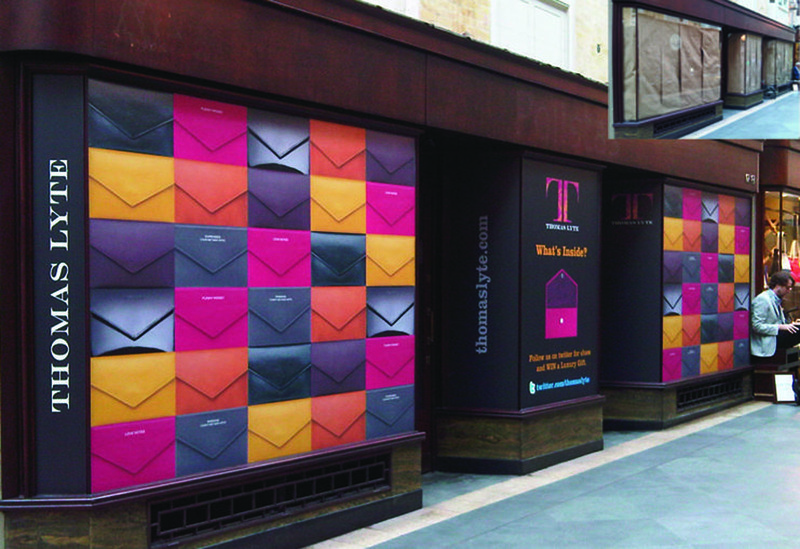 Use it to promote the opening of your residential or commercial property to passing business. Raise the profile of your development and create interest in the local community by giving people a sneak peek of the finished product with images, stats and messages. 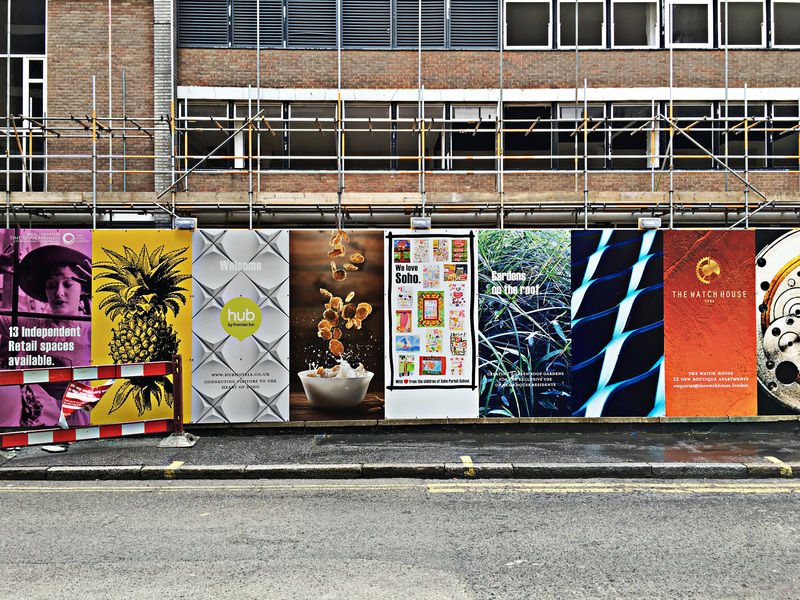 A good hoarding graphic creates a feeling of the lifestyle on offer, be it commercial or residential, and will help people understand what the project represents. 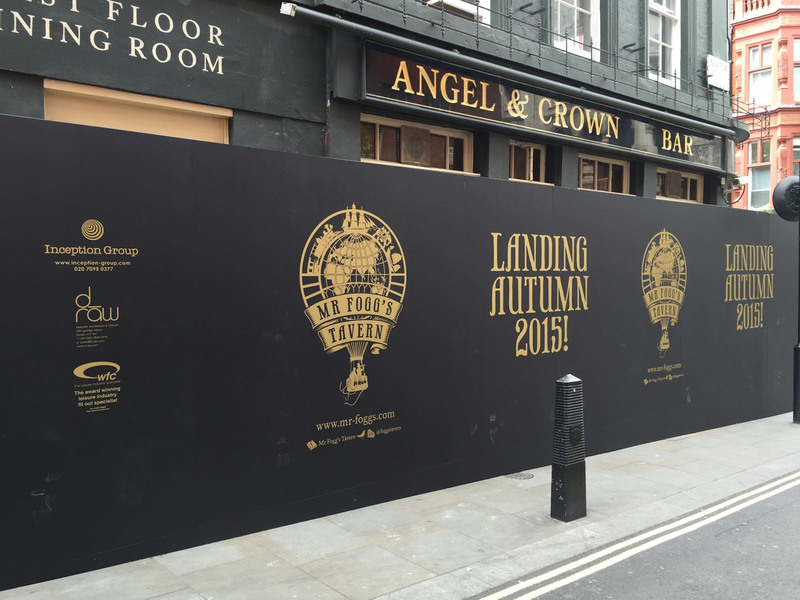 The hoarding graphics can also have a practical use as well as marketing. They can be used to display health and safety warnings not only for the public but also for the tradesmen on site. 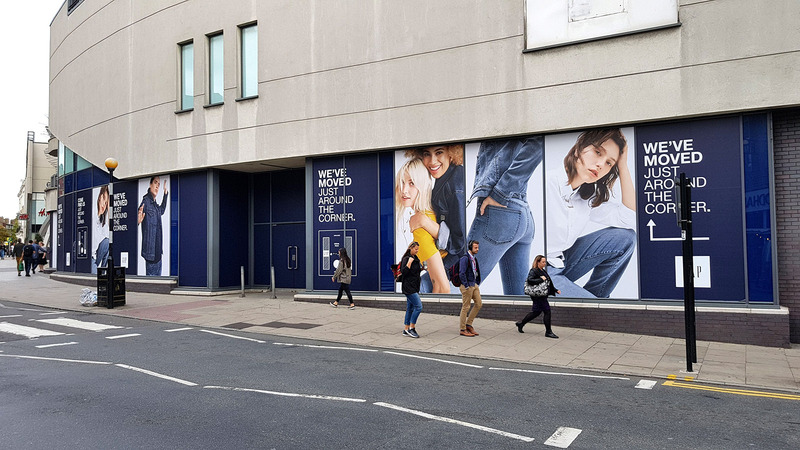 As wayfinding signage to keep traffic moving in accordance to your needs and to direct members of the public to marketing suites, showrooms and sales teams. 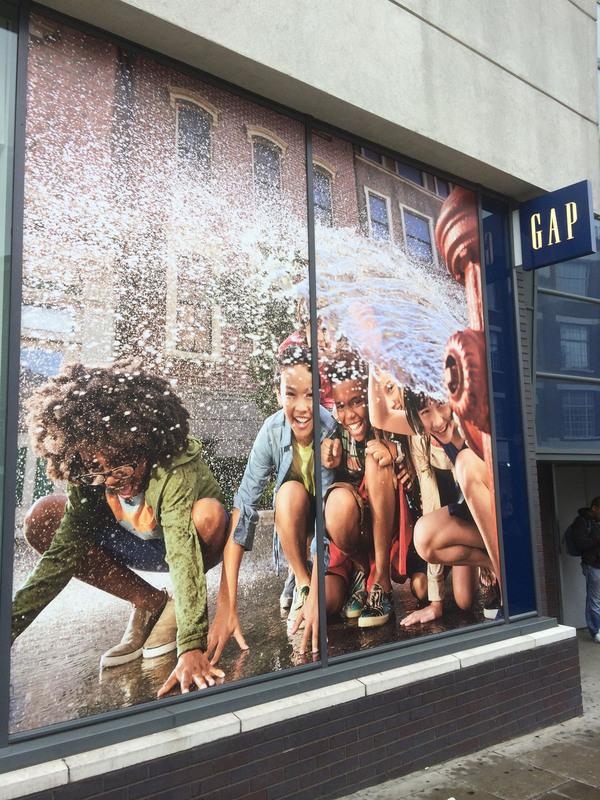 We are able to able to print onto many substrates suitable for outdoor use including foamex, wood and dibond. 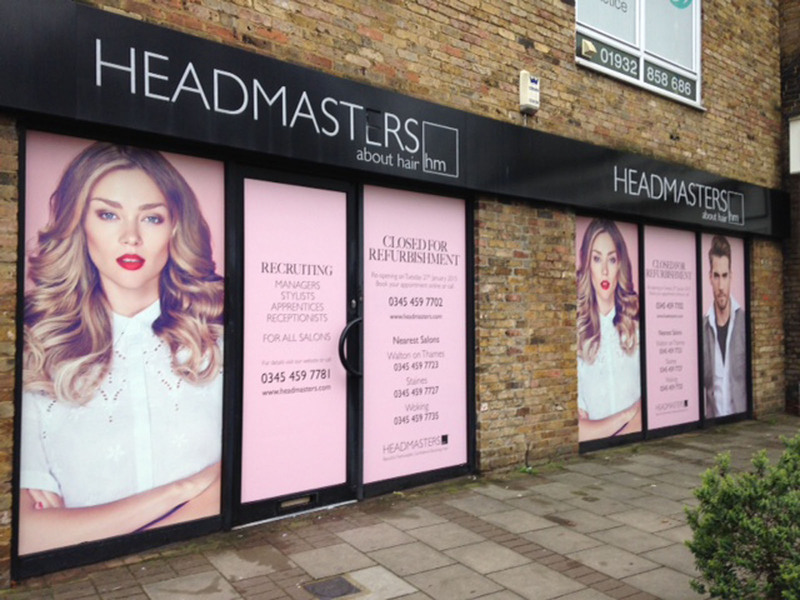 Printed direct with UV cured solvent inks our graphics are fully weatherproof and colour fast for up to 7 years. 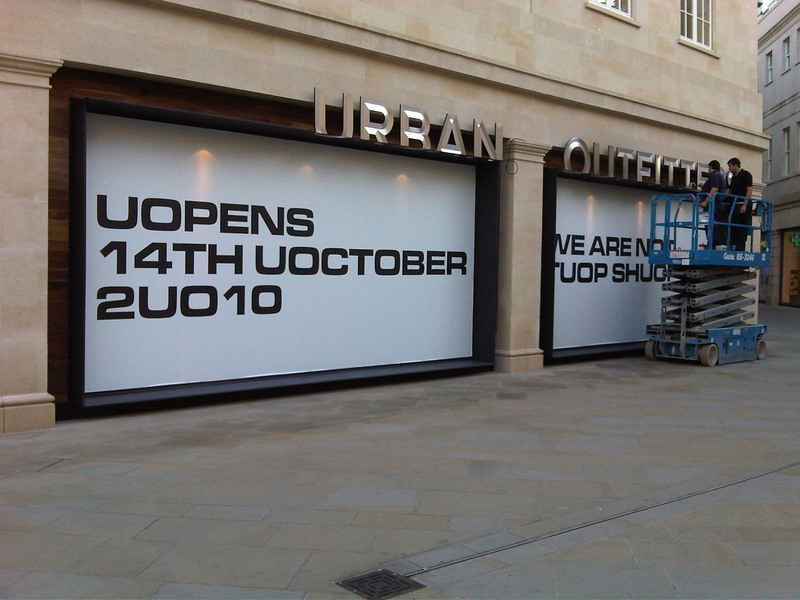 We can also provide an anti-graffiti laminate to protect your beautiful designs from the latest Banksy. 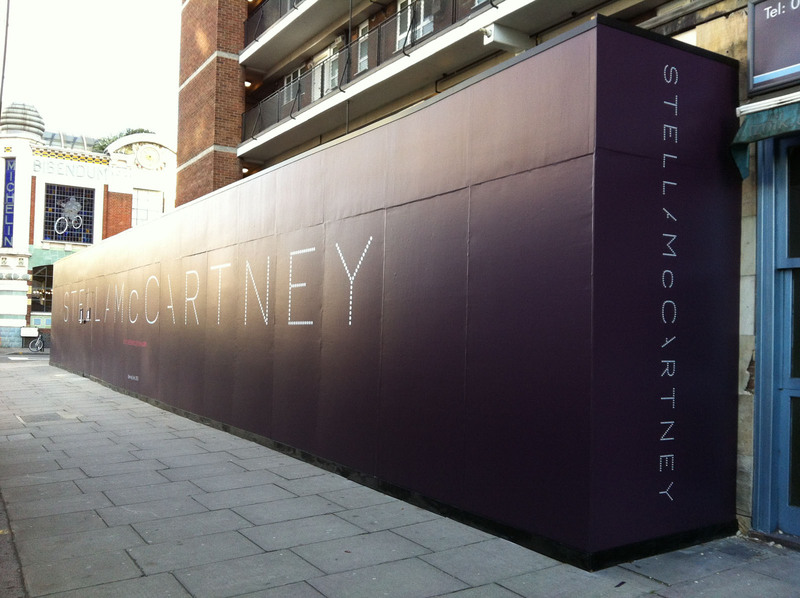 Outside stick vinyls for refurbishment hoarding. Inside stick, vinyl block out hoarding graphics. 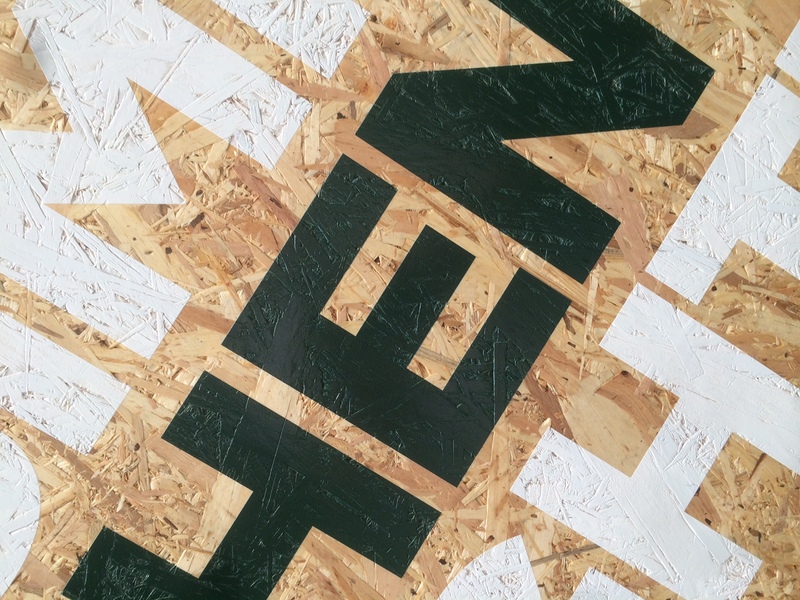 Printed directly to OSB, ideal for flooring and hoarding. 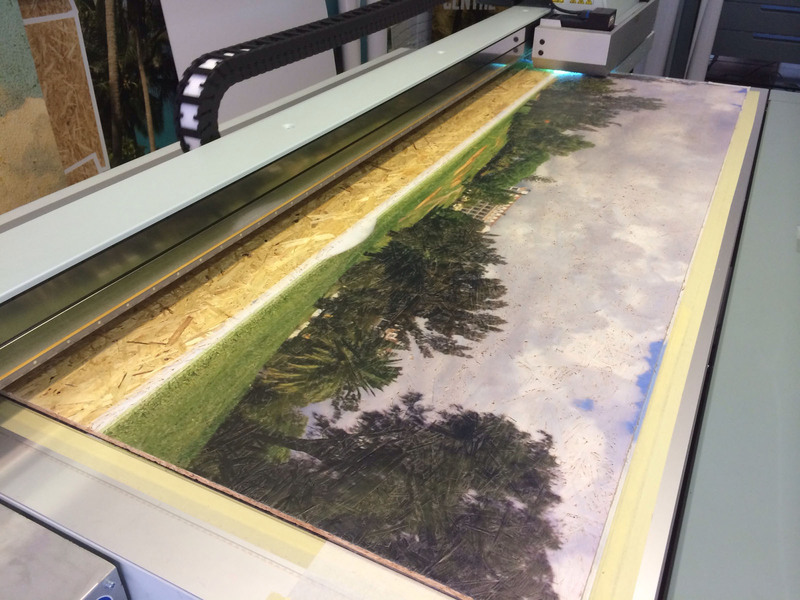 Using white ink as a base layer, our Océ Arizona then prints CMYK directly afterwards. 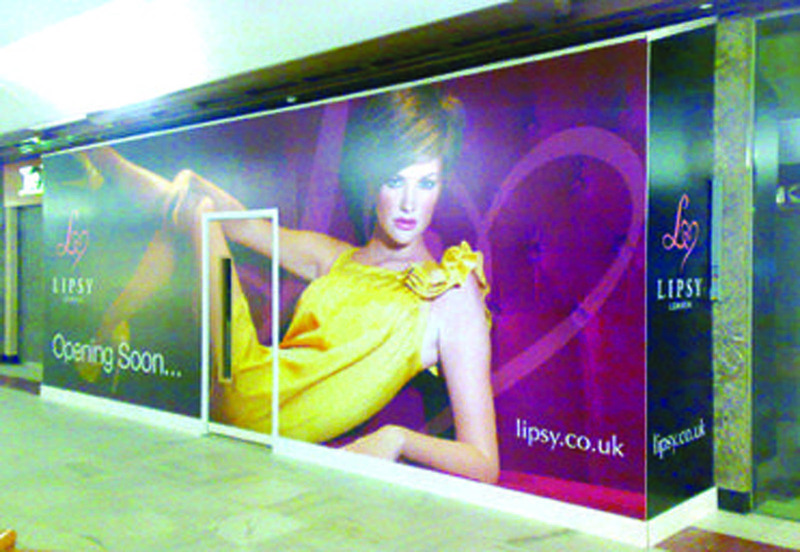 This 8x4ft sheet of 11mmOSB with white ink and CMYK would cost £220+vat/delivery - qauntity discounts apply. 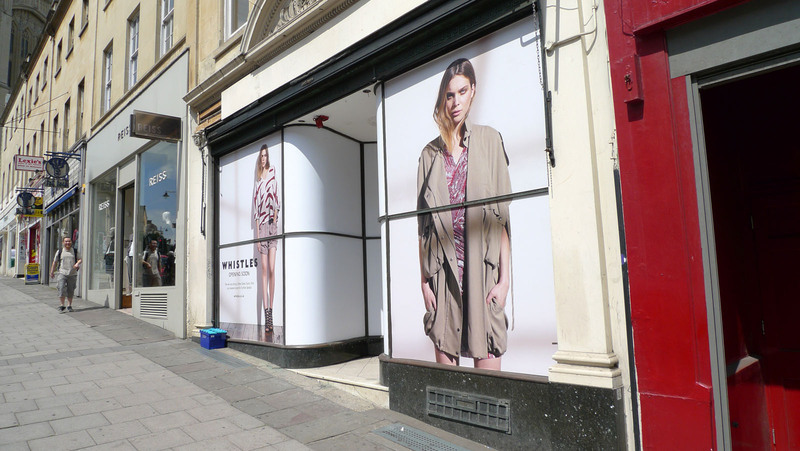 Block out self adhesive vinyl, outside stick. 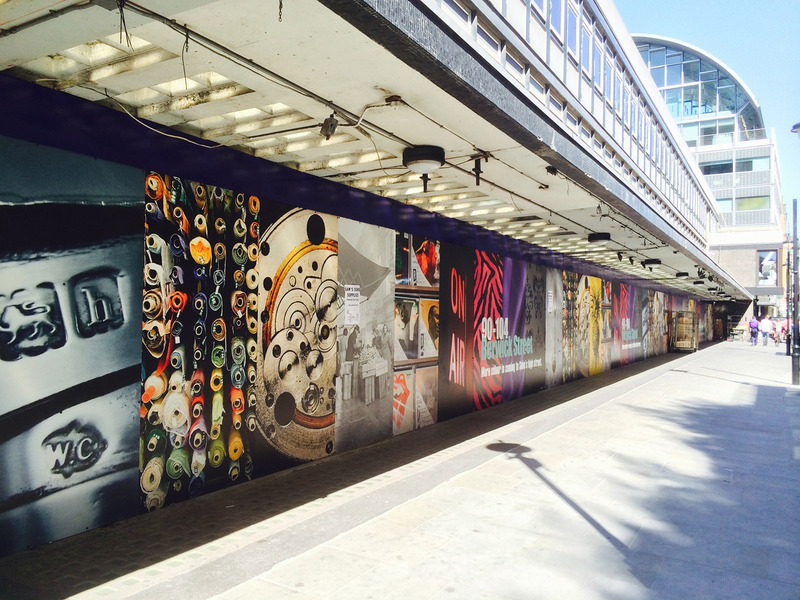 Hoarding vinyls applied directly to plywood structure. Fully weatherproof with anti-grafitti laminate.